I love scented body powders. They feel old fashioned and classy, old movie style glamour. 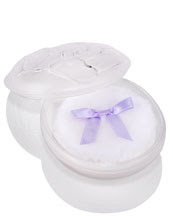 This new dusting powder popped up and I think it might be the only version of Angel that could work for me. I had a bad experience with TM Angel when I was teaching English at Berlitz. There was this one student who would bathe in it right before class where I was locked in a classroom for 90 min. inhaling the toxic fumes. Needless to say it made me nauseous and from then on I was unable to see the name Thierry Mugler Angel without mini vomiting. All the teachers would draw straws to see who would teach her because no one could stand it and no one had the guts to tell her to ease up because she was basically Brazilian royalty - I'm serious. I'm sure everyone has an elevator story that includes being gassed out by Angel, but being stuck in a poisonous classroom for nearly 2 hours inhaling hazardous material is about as bad as it can get. A good friend of mine uses the perfume - and I think she would love the powder - with a very light hand. She wears just enough so you can tell she has it on, but it stays really close to her skin. The only way it can be tollerated. 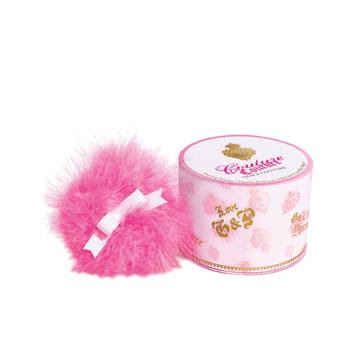 Anyway, I'm interested in trying this powder and I think James (my friend Greti's fiance) should totally buy this for her. She would just die. 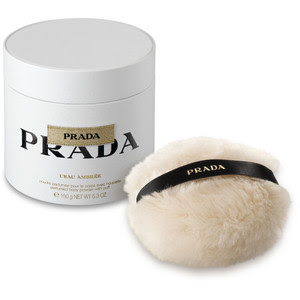 Prada L'Eau Ambree. This probably smells like something I would want to wear all the time. 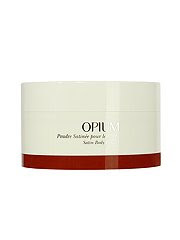 Like the YSL Opium powder. I could dive in a vat of it and just sit there letting it permeate into my skin. Quelques Fleurs by Houbigant. It's so cute, I can barely stand it. YSL Opium - love it so much. 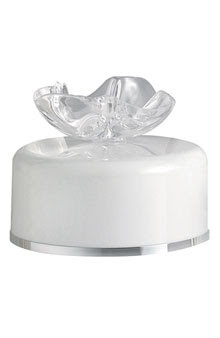 One of my mother's friends used to own this. Divine. 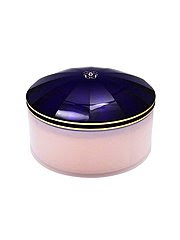 Guerlain Shalimar - I can't use the perfume, but I think I would love the powder. I hope I love it. I really want to love the perfume, it just doesn't love me. At all. It makes me sad to think about it. 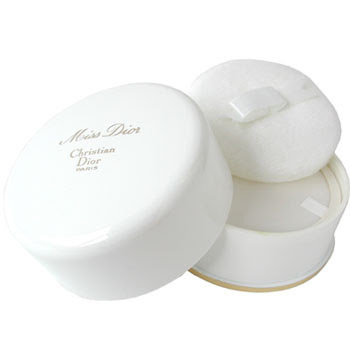 Miss Dior - I love Miss Dior perfume, so think this powder will be a winner. Plus, its' super, super cute. This packaging is to die for! It's Juicy Couture. Don't know what it smells like, but I want it in a big way. This is also Juicy Couture. Give me, give me. Oscar de la Renta. Lovely. it probably smells like heaven and weddings. This would make a beautiful gift. It's just so pretty. lol, I can totally relate. I once had to break off a frienship because of the awful perfume she wore.